With every new seasons , comes a new found expectation. Seventy two clubs up and down England and Wales will be dreaming their club will be steeped in glory come May 2014, whether it be a thrilling chase for promotion or a nerve-racking scrap to quell relegation. Here are my thoughts on how the tables may look in nine months time. 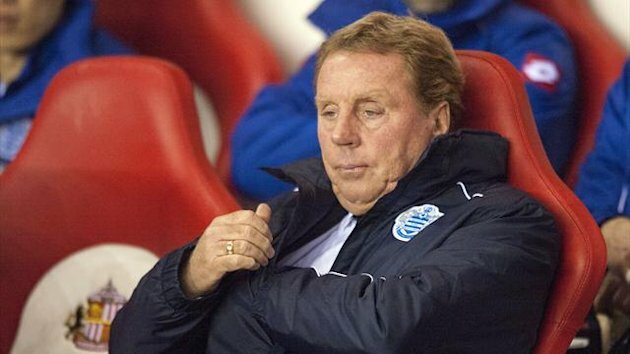 Challenge… Redknapp’s talented Hoops may not be enough to mount a promotion challenge. As always, the relegated Premier League sides are tipped for the top. Reading seem the best placed for an immediate return to the top-flight with a strong squad that excelled in the Championship two seasons ago, strengthened with new additions and led by a talented manager in Nigel Adkins. Queens Park Rangers could dominate the division but risk ‘doing a Wolves’ if the heavily priced squad fail to motivate themselves to the task. Wigan could struggle to break in to the top six with Europe a lengthy distraction next season. East Midlands ‘money-bags’, Leicester City and Nottingham Forest are among those tipped for the top. Forest appeared rejuvenated under Billy Davies and have strengthened in pre-season but the Scotsman has failed on two occasions to lead Forest back in to the top division. The Foxes have added only one player to their roster but stability may be key in their quest for promotion, motivation shouldn’t be a problem for City following their cruel play-off exit in May but frailties seen in the second half of last season will need to be rectified. Bolton too pushed for the top six at the end of last season and a replication of that in 2013–14 will see the Trotters at the right end of the table. Watford’s incessant borrowing from Udinese and Granada will too keep them in contention, providing a play-off hangover doesn’t dent their chances. Ram raid… Derby fans should be quietly optimistic for the year ahead. Several clubs are picked as this season’s ‘dark horses’. Charlton Athletic and Ipswich Town are favoured due to their strong finishes but their late form may prove to be inconsequential in the wake of the coming season. AFC Bournemouth are predicted by some, including the bookies to consolidate and maybe mount a promotion push but in an even more competitive league than last season, it may prove to be one step too far for the Cherries. Derby County have been quietly going about some good business in pre-season and this may finally be the season that the Rams’ long-term approach pays off. Nobody can seem to weigh up neither Brighton & Hove Albion nor Middlesbrough this season. The Seagulls odd managerial switch may stifle the progress they had made in previous years whereas Middlesbrough’s dramatically different form in either half of last season means they could be either knocking on the door of the play-offs are floating in and out of the drop zone. One direction… Donny have little hope of escaping the drop. Only two of the promoted trio are widely fancied to drop back to the third tier and rightly so. Somerset minnows, Yeovil Town will struggle but may put up more of a fight than expected with manager, Gary Johnson capable of securing the Glovers’ survival. Doncaster’s signing of pop heartthrob, Louis Tomlinson will do little to bolster a squad and manager ready for the drop. As is customary, Barnsley will be poking around the bottom of the table, but their scrappy nature may be enough to carry them above the dreaded dotted line once more. 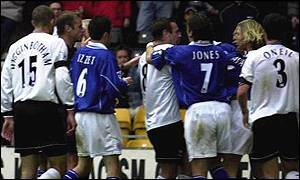 Millwall seem a lesser threat given their end-of-season form and the transition of manager Kenny Jackett to Wolves. Blackpool are too fancied to struggle with a depleted squad and a manager in Paul Ince rumoured to be unhappy in his surroundings. Elsewhere in Lancashire, Burnley may be the surprise strugglers this season following Charlie Austin’s defect to West London – the striker secured crucial points for the Clarets last term. The blue-striped duo, Huddersfield and Sheffield Wednesday may have to contend with another relegation battle too.